Bitcoin and cryptocurrency trading, similar to stock trading, is a mode of earning income from the financial markets. However, many bitcoin traders continue to view bitcoin trading as a side business rather than their main vocation. This may be largely due to the fact that bitcoin exchanges are not yet ready for the big time. Crypto-enthusiasts hope that the big and bulge-bracket financial firms will soon buy and sell bitcoin like any other asset such as stocks, bonds, gold, or currency. However, such trading would entail large volumes, scale, and scrutiny that crypto asset exchanges are not equipped to handle today. Many cryptocurrency exchanges are coming under strain due to home-grown technologies and they face costly technology upgrades or an ugly meltdown. Market shifts happen so fast that you could end up losing money if you don’t act fast. The explosion of trading bots has to be viewed against this background. As an avid investor in cryptocurrency myself, I have seen many coins come and go in the very short time that blockchain has been in existence. A lot of coins claim that they can make blockchain technology better than what it currently is. DasCoin (DASC) is one such coin that appears to strive to make blockchain technology better. Its primary objective is to make the storage and exchange of cryptocurrency more viable for security and performance. DasCoin expects to accomplish this feat by implementing their own ecosystem known as the DasEcosystem. Access to the DasEcosystem is provided by Net Leaders, which empowers a network of users through various applications and services. Users can own a Net Leaders license that can allow them access to network cycles. 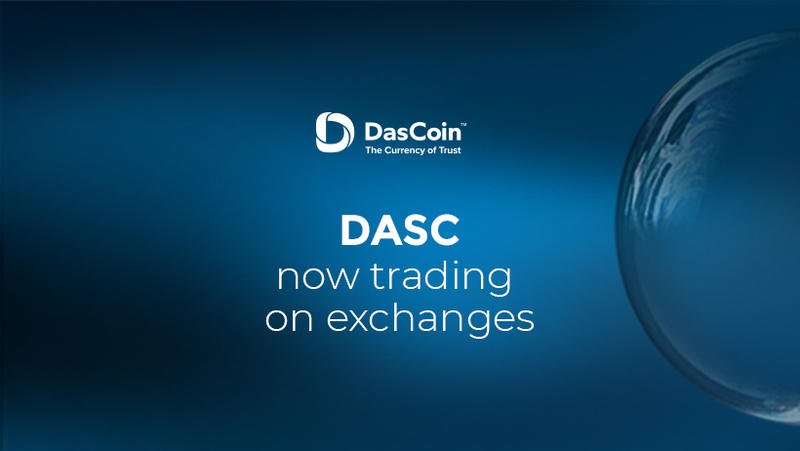 DASC is considered a “store of value” coin that serves to bring all positive aspects of both a centralized and decentralized system and its main premise is to build a coin and system built on trust with the following principles: Liquidity, Utility, Security and Capital Appreciation. In this article, we will summarize some of the key features of DASC which outline the benefits of participating in the DasEcosystem. DASC has implemented a “Proof of Value” system that assures that the distribution of coins is monitored by "cycles", which are directly purchased from a system license. This assures that coins cannot be distributed carelessly to executives or developers. With implementation of this system, the quantity is fixed at 8.5 billion which never increases. This way, a fair and equitable amount of coins is distributed among investors and developers. Bitcoin, the digital cryptocurrency being anonymous and untraceable has been the preferred choice for doing illegal business online. 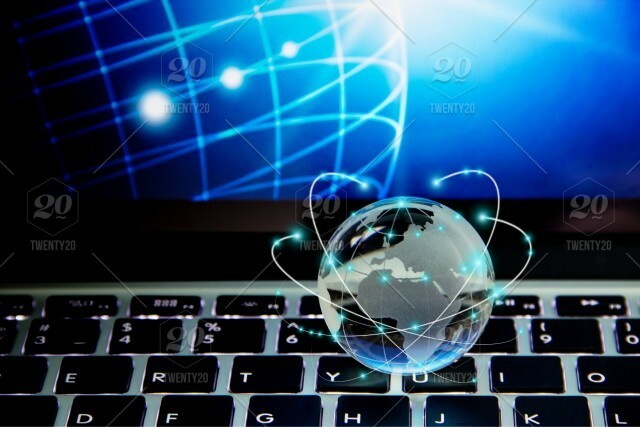 After, being widely used for all kinds on illegal online trading like drugs, exploits and numerous other black-market services the currency has another taker which will definitely raise many eyebrows and can result in strict governmental actions. A new online service hosted on underground, anonymous Tor network is now being used to offer an crowdfunded bounty killer service. Named "The Assassination Market" the service lets anyone anonymously contribute bitcoins towards a bounty on the head of any government official just like Kickstarter but for political assassinations. The Kickstarter for political murders is already receiving huge funds and have 7 nominations (nominating someone needs someone to propose a name and pay the 1 Bitcoin fee worth US$766.99) so far. 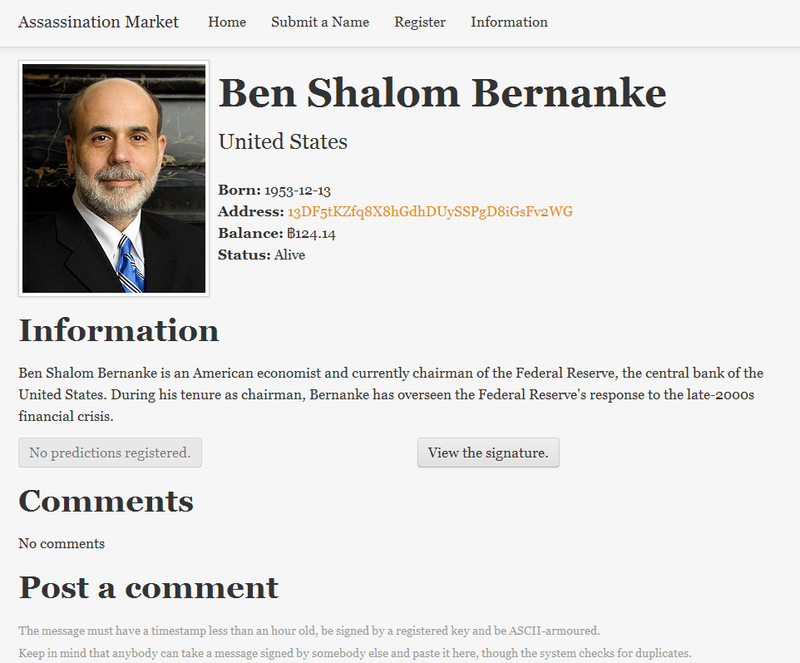 "Ben Shalom Bernanke" the current chairman of Federal Reserve USA tops the chart and has collected maximum bounty worth ฿124.14 or US$95106.76 at today's exchange rate. Bitcoin the digital cryptocurrency recently made a lot of buzz into offline media with it's valuation zooming upwards, if you are still unaware of this popular "internet currency" Bitcoin is an open-source, peer-to-peer technology which operates with no central authority or banks; managing transactions and the issuing of bitcoins is carried out collectively by the network. Nobody owns or controls Bitcoin and everyone can take part. Here are two videos showing how this currency of future works.